Fatima Photography is a digital photography studio which in time has specialized in weddings photography and newborn photography. Many customers have hired the Fatima photographer for their wedding in Basildon, and when the time came they hired her again for a new born photography session. What can be better than having the same great photographer in Essex for both your wedding and for your new-born baby photo-session. A cake smash photographer with talent is pretty hard to find, but if you are in Essex or in London and you need a cake smash photographer, it may be a good idea to contact Fatima Photography. This digital photography studio based in Essex but also working in London is offering professional photography services at a great value. 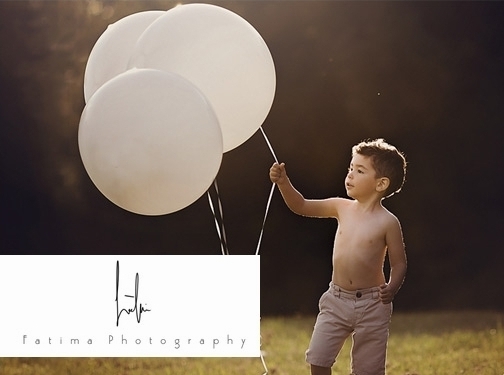 Contact Fatima Photography and hire a professional family photographer in London or Essex. UK (Basildon, Essex) based business providing wedding, fashion and portrait photography services. Website includes details of services provided, "meet the team" page, work examples, assocations, details of awards won, full contact details.